“Star is great with cats! She has a natural way with them that makes them feel totally at ease. She knows how to tell what they need and give it to them in just the right dose so they stay happy. Star is the Cat Whisperer.” Amy D.
“Star is definitely a star when it comes to cats and I think deserves the title of “Cat Mama”! A lot of people can manage a cat or two, but it really takes someone special who can take on 5 for an extended period of time. Yes, 5! And not 5 congenial, loving cats that are outgoing and friendly, but 5 former feral cats that are extremely shy around people, and that have to be kept separated into two distinct coalitions at all times to avoid fighting. Through hard work and determination (and I think some magic), Star earned their trust and established relationships with each of them. She came highly recommended to me and I was not disappointed. She was reliable, dependable, and trustworthy. She was very knowledgeable and effectively dealt with a wide range of behavioral and physical ailments. Most importantly, she naturally and willingly showered my kits with love and attention. 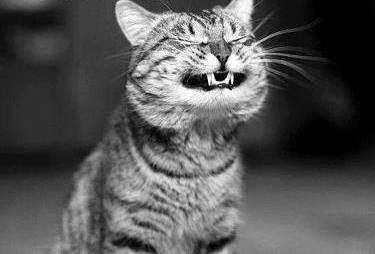 I highly recommend her services with no reservations.” Mamie M.
“For a period of about a year, Star was my cat sitter. For a bunch of reasons, she was amazing and awesome, and I always felt 100% happy and confident having her watch over my two cats, Thunder & Xena. From the first time I met her, I could tell she loved animals, and cared about them. She came over one time months after first sitting for them, and it was clear they loved her too, perhaps more than me! She brought toys for them, played with them, took wonderful pictures of them which she shared. Both me and my cats will miss having her. I highly recommend her for anything you need, especially photography and care.” Josh M.
“Star is an absolutely fantastic cat sitter! She is reliable, trustworthy, and extremely communicative; she routinely sent pictures and video updates of my cat Lola while I was out of town. Above all, her love of cats and dedication to their good care was always evident throughout her pet sitting. Thank you, Star!” Laura B. “Star is awesome! She’s a wonderful cat sitter and photographer. I have a cat that tends not to like people too much, but he loves Star, which shows how great she is with cats. The pictures she’s taken of my fur babies are absolutely breathtaking! If you need a sitter and/or pet photographer, there’s no better person than Star.” Lori B. “Star is a fantastic pet sitter. She has taken such good care of my cat Obie from when he was a little kitten. I’ve always felt very comfortable going out of town, knowing that he was in such good hands. She clearly cares very much about the cats she sits for and goes the extra mile to make sure they are safe, comfortable, and happy. I highly recommend her.” Kate H.
“Star did a wonderful job taking care of my two kitties, Fred and Ginger, on several occasions. She fed them and spent a lot of time playing with them. Also, she e-mailed me their picture, so I could see that they were well and happy.” Elsa A. ” Star is AMAZING! I had just gotten a Devon Rex kitten (Bartok) who was a fragile little thing for the first 9 months of his life. Star visited and got to know him before ever cat-sitting. I went away for the first time and she regularly kept in touch, letting me know how he was doing and sending pictures. I could tell that she cared greatly for all cats. She left a report of how he did and her observations were truly detailed and nuanced–a sign that she got to know Bartok and a sign that she was tuned into his needs. I would highly recommend Star for your cat-sitting needs!” Rebecca R.
“Star is a dependable pet sitter that we repeatedly requested–we were sad to hear she was moving! My husband and I trusted her to take great care of our two cats, Lucky and Murg, while we were out of town on several occasions. She was thorough and even emailed us photos and videos of the cats so we knew they were doing well while we were away! I would definitely recommend her.” Polly F.
” Star was great with my two cats. She played with them and recognized how they were different. She really showered them with attention and I know they liked the attention. She even managed to get them to sit quietly so she could take their pictures ….this is no small feat if you know one of my cats. I always felt comfortable when she was taking care of them.” Barbara D.
“Star was wonderful with my two cats, Mookie and Thai. They each have different personalities and she figured them out quickly. She gave them lots of attention, played with them and even brought them new toys! She is also a very good photographer and was able to get great close up shots that I had been unable to do. You cannot go wrong with her as a sitter.” Bonnie R.
“Star has sat for our cat Inky twice when we were out of town, and she was wonderful! Very communicative and responsible, as fairly high maintenance pet parents, we had absolute trust in Star to provide loving care for our Inky while we were away. I highly recommend her services! !” Sarah I. “Star took amazing care of my cat, Molly! She really pampered her with treats, catnip, and cat-friendly videos. Star kept me posted on how my cat was doing as I traveled, and I didn’t have to worry because she was in great hands. 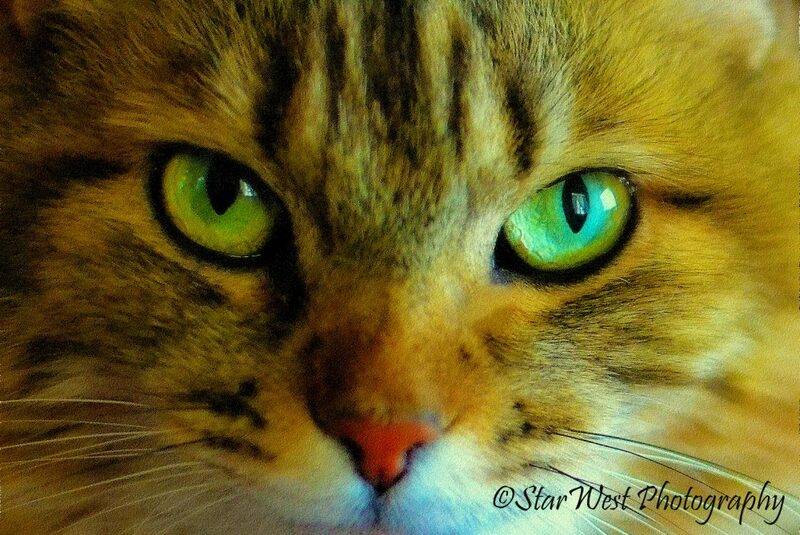 She’s a wonderful pet-sitter and photographer, and I highly recommend her services!” Rebecca S.
Star is awesome! She’s a wonderful cat sitter and photographer. I have a cat that tends not to like people too much, but he loves Star, which shows how great she is with cats. The pictures she’s taken of my fur babies are absolutely breathtaking! If you need a sitter and/or pet photographer, there’s no better person than Star. Star is a fantastic pet sitter. She has taken such good car of my cat Obie from when he was a little kitten. I’ve always felt very comfortable going out of town, knowing that he was in such good hands. She clearly cares very much about the cats she sits for and goes the extra mile to make sure they are safe, comfortable, and happy. I highly recommend her. Kate H.